TUSCALOOSA, Ala. — A new research center at The University of Alabama aims to improve accuracy of data and reduce uncertainty for water management and emergency preparedness. Approved by UA’s board of trustees this month, the Center for Complex Hydrosystems Research will foster collaborative research to advance the understanding of hydrologic science through modeling climate-water-human interactions as a complex system. The National Academy of Engineering identifies access to clean water as one of the 14 major challenges facing the world’s civilizations this century, and forecasting and modeling how water will flow, or not flow, is a crucial component to planning and managing clean water. “The Center for Complex Hydrosystems Research is evidence of our commitment to providing relevant solutions to some of society’s most complex challenges and providing a leading-edge experience for our students along the way,” said Dr. John C. Higginbotham, interim vice president for research and economic development. The new center is part of the University’s robust efforts to enhance hydrosystems research and water management under the umbrella of the Alabama Water Institute, which supports environmentally focused research across campus in the areas of fresh water, remote sensing, water policy, hydroclimate and hydrological disaster management. 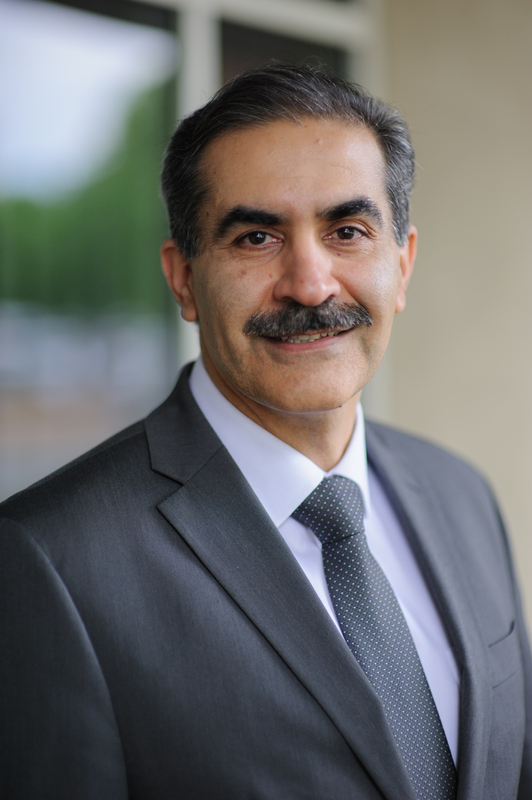 Dr. Hamid Moradkhani, who joined UA as the Alton N. Scott Professor of Engineering at the start of 2018, serves as the executive director of the Center for Complex Hydrosystems Research. A fellow of the American Society of Civil Engineers and diplomat of water resources engineering, he comes to UA with more than 26 years of professional experience in analysis, design and management of large-scale water resources systems. Moradkhani will oversee and assist researchers from the areas of civil engineering, environmental engineering, computer science, geography and geology along with researchers in other disciplines who want to work this area. Through Moradkhani’s leadership, the center plans to contribute new insights into the interactions between climate, water, food and energy through the application and use of climate models, remote sensing, ensemble data assimilation, distributed hydrologic modeling, data analytics and high-performance computing. Data and tools produced by Moradkhani and other faculty in the new center will be used by researchers, practitioners, water authorities and emergency managers for implementation of new adaptive drought and flood contingency plans and to aid in decision support systems. Through fundamental and applied research, UA’s center will work to assist the National Water Center, a federal facility located on the University campus that develops and delivers national hydrologic analyses, forecast information, data, decision-support services and guidance to support and inform essential emergency services and water management decisions.